You'll likely know by now that inbound marketing comes down to four principles: attract, convert, close, delight. It sounds simple, but unlike outbound marketing, inbound is a consistent process. It’s ongoing. It takes persistent planning, research, dedication and patience. The decision to move to inbound selling should be a considered one. It takes time, patience and expertise to build an effective and successful inbound strategy. But it's results driven, and inbound marketers need access to tangible and measurable results to prove their efforts are worthwhile. Luckily, there are a plethora of online tools available to streamline, smarten, and optimise your inbound delivery tenfold. BuzzSumo is an essential tool for content creation. A social analytics tool, in the neverending sea of online content, it allows users to filter out the most trending articles for any given or keyword. This enables you to organically attract visitors to your website through insight-driven content creation. It helps you plan out your content marketing with enhanced visibility and precision, and you can even set up keyword alerts, so you are updated when new content is posted or updated relating to your target keywords. SEMRush covers a range of inbound attraction techniques from PPC, SEO, keyword optimisation, and social media. Containing over 30 tools that can analyse up to 3.7 billion keywords and 4 trillion (yes, trillion) backlinks, SEMRush is excellent for content creation around keywords. It also provides a quick overview of your site’s performance, if this is something you want to test (which, if concentrating on attracting more site traffic and improving your online presence, should be). You can track your traffic growth, analyse your competitors and generate real-time reports. CoSchedule is an editorial marketing calendar designed specifically for digital content marketing. With a drag and drop function, it makes planned content creation simple, and allows you to combine content planning with social media marketing. They also offer a handy headline analyser tool, which great for helping you not only create better headlines but swot up on the dos and don'ts of great headline creation. Coschedule is excellent for generating content that is on trend and will generate traffic and engagement. Hubspot was specifically created to help businesses execute their inbound strategy. With a myriad of software tools, it supports you in blogging, content management, social media, SEO, workflows, and more. Perhaps one of the most user-friendly features of Hubspot is the ability to host and modify websites without the need for IT intervention or complex coding. Adding blog posts and creating landing pages is simple. And you can create reports easily giving you insight into traffic, visits and leads over time to track your ROI. Even professional writers can have their precious prose plagued with typos, errors and - despite the argument that the rules have changed - grammatical errors. Grammarly goes one step further than your regular spell checker. It flags up content-specific stylistic errors, errors in word choice, grammar, punctuation, and spelling. Scanning for ‘more than 150 common and advanced grammar rules’ it even flags up potential plagiarism. Grammarly is excellent for unconfident writers, first-time bloggers, or those writing regularly for their business. It's that peace of mind that everything is accurate, professional, and will not let your business down. Writing for B2B can be daunting since the subjects are often more niche, and your buyer personas more exacting of quality content. But with Grammarly, you've got that added assurance that your writing is top notch. Cloud-based communication app, Slack, is an excellent communication and collaboration tool, but not limited to inbound marketing. They say it best themselves: "Slack is where work happens". Many businesses have adopted the tool to enhance communication through instant messaging and interaction either internally or with remote colleagues and contractors. The option to create different channels makes it easy to distinguish between different clients and projects, keeping everything organised and transparent. Plus, the app can be downloaded to your smartphone so that colleagues can connect while out on the road. Slack allows communities, groups and teams to comes together through a specific URL or invitation sent my a member or admin. It is secure with its two-factor authentication, so favoured by agencies because of its added layer of security. We're big fans of Google Drive here at Equinet. Mainly because of the security that comes with knowing the most recent versions of your work are automatically synced and saved to the cloud, no matter where you are. But, one of the best things about Google Drive is the ability to collaborate and share documents - either with internal parties or clients - allowing other users to comment and edit. This is a really useful tool when writing content, especially when content-writing for clients. What's more, the drive can be accessed from anywhere, anytime, giving our team the autonomy to log in remotely and continue working on documents from any location, on any device. Again, this one might not be limited to inbound, since it provides such a selection of capabilities that can be used to enhance any work. But it does come in particularly handy when running our day-to-day inbound strategies. 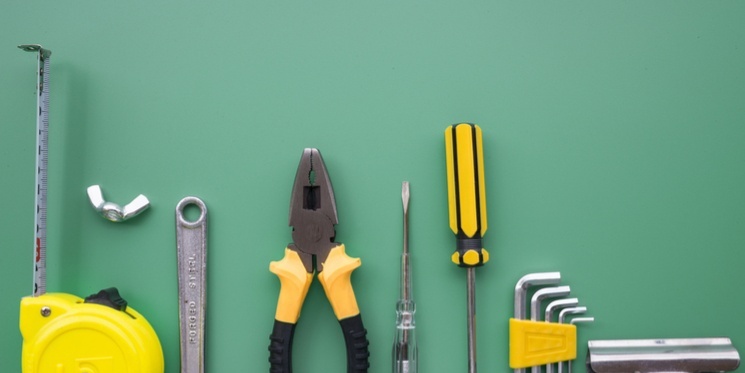 These are just a select few of many when it comes to the best inbound marketing tools. It's also work checking out Trello, Wistia, and Google Analytics to enhance your capabilities even further. Whether using inbound or outbound marketing tactics, it's important to be aware that the control of purchasing is now in the hands of the buyer. They can skip ads, decline cold calls, and pretty much block anything interruptive or intrusive. Simply put, outbound’s effectiveness is dwindling. Hubspot writes that inbound generates 54% more leads into the funnel compared with traditional outbound leads. So if you're not already practising inbound, and you think your business fits the criteria, why not have a play with one or more of the above listed tools and see if you can maximise your lead generation and sales opportunities? Read more about implementing inbound by downloading Equinet's ebook.